Vlad handles a wide variety of commercial litigation matters at Perl & Goodsnyder, ranging from breach of contract cases to real estate matters. Vlad practices before the U.S. District Court for the Northern District of Illinois, the Circuit Court of Cook County, as well as the Illinois Commerce Commission and the administrative courts of the City of Chicago. Prior to joining Perl & Goodsnyder, Ltd., Vlad worked in landlord/tenant law, commercial litigation, and bankruptcy. 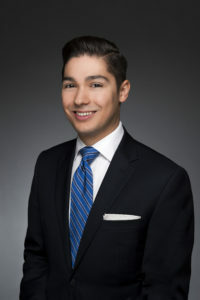 Vlad graduated from Loyola University Chicago School of Law, where he took extensive coursework in Bankruptcy, Business Organizations, Business Planning, Federal Income Tax, Intellectual Property, Mergers and Acquisitions, Secured Transactions, Trial Practice, Uniform Commercial Sales Contracts, and both Federal and Illinois litigation. Prior to Law School, Vlad studied Economics, Business, and Psychology at Indiana University. Vlad is an active member of the Chicago Bar Association and is fluent in Romanian and Italian. Vlad enjoys problem solving, researching, and developing unique solutions to complex litigation problems. Outside of work, Vlad enjoys cycling, music, and exploring new places and restaurants.